At the 2012 London Games, Missy Franklin, age 17, took the swimming community by storm with her dominant performance. She left the Olympics with four gold medals and one bronze medal, along with two world records and two American records. Next up for Franklin was a collegiate career at the University of California-Berkeley and plans to continue her international reign with Team USA. As the 2016 Rio Games drew closer, however, she struggled to regain her form in the pool. She was still a world-class swimmer, but not quite at the same level from four years earlier. Even though she was focused on success in the pool, she also made sure to take time for some inspiration. 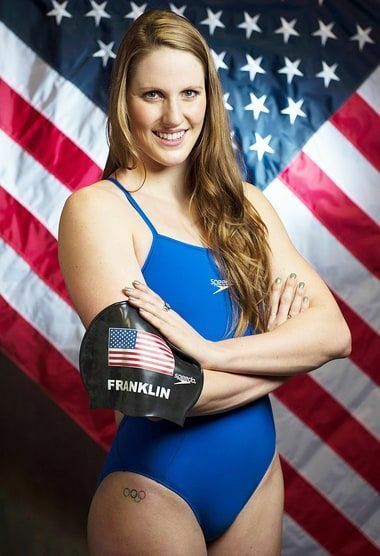 While preparing in Rio, Frankln was pictured in a photo that U.S. Women’s Swimming Coach Dave Marsh tweeted along with several teammates following a Bible study with Atlanta-based pastor and best-selling author Louie Giglio. Franklin’s first two performances didn’t go as planned. She shockingly missed both finals in the 200-meter freestyle and the 200-meter backstroke. Franklin stayed positive, however and ended her medal drought by participating in the heats that helped the 4x200-meter freestyle relay team win gold. Dear Lord, help us to trust You in all things. Thank You that You make something beautiful in all things that we go through. In the Name of Jesus, Amen.